The 2015 Jaguar XJ offers a unique alternative to full-sized luxury sedans from BMW, Audi, Mercedes-Benz and Lexus. This thoroughly modern luxury sedan has gone a long way toward erasing the lingering specters of Jaguar's admittedly checkered past. The design trades traditional styling for a futuristic look, showcasing the brand's modern sensibilities while still offering traditional high-end luxury. 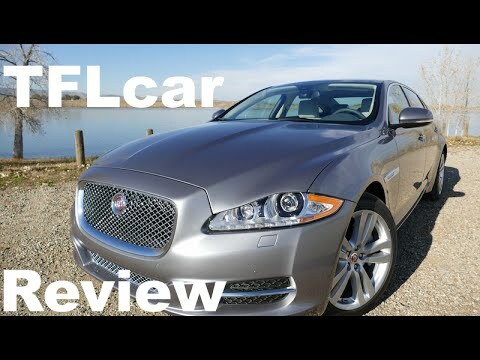 Xjl jaguar portfolio supercharged is the perfect sporty luxury sedan! I have a 2015 jaguar xjl supercharged portfolio with all of the extras and I love my car! I have only have 3 complaints. The manual is over 1, 000 pages long and I still do not know how to use most of my car functions. Because everything is battery controlled, if you do not drive the car often enough the battery needs charging. The start button broke and it just can't be replaced for whatever reason?! ?